You are here: Home / DIY / Marshmallow Fondant! Spring screams cleaning, re-decorating, out with the old, in with the new, gardening, and outdoor fun. Some of that outdoor fun includes beautiful picnics and LOTS of cake. I see tons of parties this time of year and I love how beautiful everything looks. You will love today’s Make Something Monday project because today we are making our own marshmallow fondant! Some people say that marshmallow fondant is much tastier but since I don’t like fondant at all, I would not be a good judge. My daughter likes marshmallow fondant but thinks regular fondant tastes like cardboard with flavor added! Watch me make it so you can see exactly how this is actually made! Tamona is the author of Hey Tamona!, a humorous website that helps people find legitimate work at home. Along with helping people find work at home , Tamona also blogs about her passion for couponing , crafts , and all things overweight . There is never a dull moment on Hey Tamona. Super easy and tasty! Made little race cars for my son’s 4th birthday cupcakes last week! I make it differently though. Just use water, marshmallows, and powdered sugar. 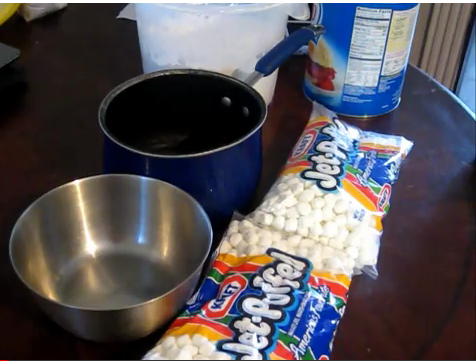 Microwave the marshmallow and water then mix the sugar. 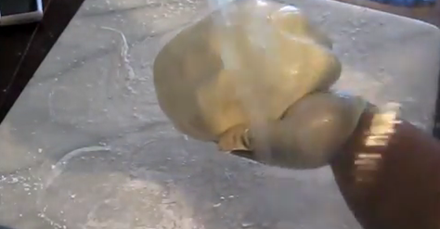 Yep, that’s what she did in the video, she also used gloves! Easy Clean-up! Very easy clean up! I love making it too because you can get the kiddos involved. You can also put plastic wrap on the table and then throw everything away. 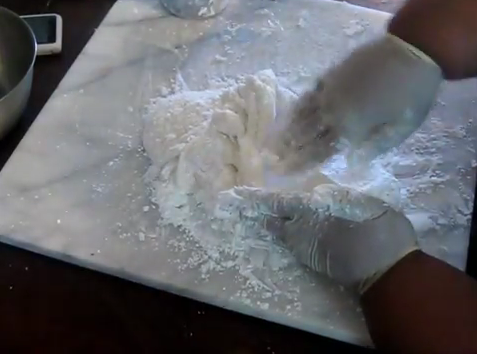 Watched the video and I will try this fondant! She made it look so easy! I wish I were crafty or a cook, like Tamona Valentine, she is great at all of it and makes it all look super easy! Janet, it is super duper easy! If you put too much of a wet ingredient, balance it with a dry one and vice versa. Also, instead of adding vanilla you could always add your own flavor (peppermint, butterscotch, etc.) for more flair. Oh and Janet I would love to see some of your cakes! If you pinterest, please leave your link! made it for my daughter’s bday party…but man was it a pain to die black and red (made ladybugs)…my arms hurt for 2 days afterwards from mixing the color in. Mmmm, marshmallows! I made Rice Krispie treats last night. Thankfully I sent them to school with my son today so I didn’t eat them all myself (because I totally totally could). I’ll have to check these out! Yum! I’ve been looking for new things to make in the kitchen, this isn’t as scary! Will try it!